The biggest nightmare that most of the men and women face today is the hair loss problem. Due to the hectic lifestyle, wrong eating habits, people don’t take due care of their health which results into the hair loss problem. It’s said that one can determine the health condition of a person by looking at the hair. Hair loss is not only due to stressful routine and wrong lifestyle, but it can be because of hereditary problem. Fix-O-Fit is a hair fiber that helps you get natural looking hair 10 seconds. 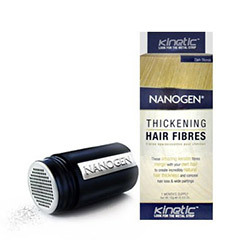 Advance hair fiber technology with natural looking hair solution. 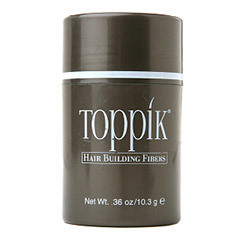 Toppik Hair Building Fibers solution is one such range of products that instantly gives your hair and volume instantly. There is whole range of products created by the best technology designed to boost your system to have a healthy and glowing hair. Hair So Real Keratin Fibers is a popular hair loss concealer. This is the most reliable product both for men and women to use. Hair So Real easily hides the bald area of scalp giving volume to thin hair by the use of keratin fibers. Hair So Real is made from tiny hair fibers made from Keratin – a kind of protein which is found in human hair. When you apply this product on the affected areas, it will smoothly cover the bald area with these fibers which will attach to your thinning hair giving them volume. Make sure your hair is clean and completely dry before applying the product. Select the area where you want to spray Hair So Real. Hold the container 2 to 3 inches above the scalp, shake it firmly and spray on the affected area. Once you have sprayed the adequate amount, use your hand to pat the area to help fibers spread evenly. There is no fixed amount of quantity to be used for Hair So Real. If you feel that the affected area is not fully covered, spray some more till you get the desired volume. See, in just three steps you can cover your bald area without much of a fuss. Try Hair So Real, to see the transformation in front of you within few seconds. With Hair So Real Keratin Fibers you can look young and better instantly. We are leading hair fiber supplier. Hair Fiber Online was formed to provide effective solutions to all health enthusiasts. Today, Hair Fiber Online offers world’s largest range of genuine and standard products across all the categories and with all major brands.. World-wide shipping in in 3-4 days. All range of hair fiber brands at one place. Use our products & say good bye to your hair loss problem. © 2016 Hair Fiber Online. All Rights Reserved. Fix-O-Fit is a hair building fiber that helps you get natural looking hair in 3 easy steps. Based on electrostatic bonding, Fix-O-Fit works magically on thinning and bald patches using Sprinkle, Settle and Rinse. Get that perfect hairdo instantly and give your best to the world!